Can the holidays make you sick? What makes us get sick more often during the holiday season? Many theories have been postulated and studied over the years and many factors are blamed for being virus enablers. Closer proximity of hosts (us) within closed spaces makes transmission easier due to the shared air we breathe while indoors and the common surfaces we touch as people share confined areas. Further, foods are presented and ingested in areas with higher germ populations due to the foregoing. Other theories suggest that inactivity and depression generally increases with the cold and gloomy weather and this coupled with decreased exposure to the sun may tend to inhibit our immune systems. We suspect that all of these factors and more contribute to the seasonal spike in illnesses. But, there are some commons sense actions that can help reduce your chances of being the next holiday (infection) host. The most effective way to reduce your risks of seasonal sickness is to wash your hands often, especially after shaking hands, touching surfaces in common areas such as handrails and countertops and especially before eating. In the spirit of holiday cheer (and microbial fear) check out these funny new flu and handwashing posters meant to remind with mirth and good cheer. 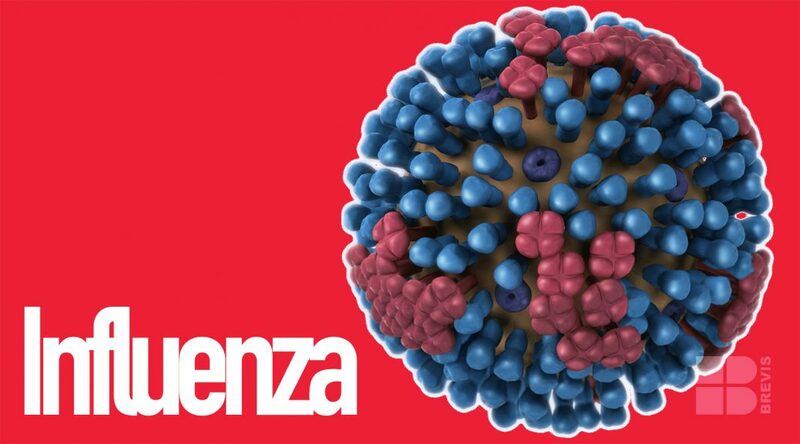 Image of flu close up by cdc.gov.